Rural Nepalese villages typically build with mud, stone or clay because these materials are readily available. Unfortunately, these materials succumb easily to natural forces and alternatives like cement, steel and wood are expensive to transport. Earthbag construction is a perfect compromise. It allows villages to use local materials while offering a structurally sound building technique. 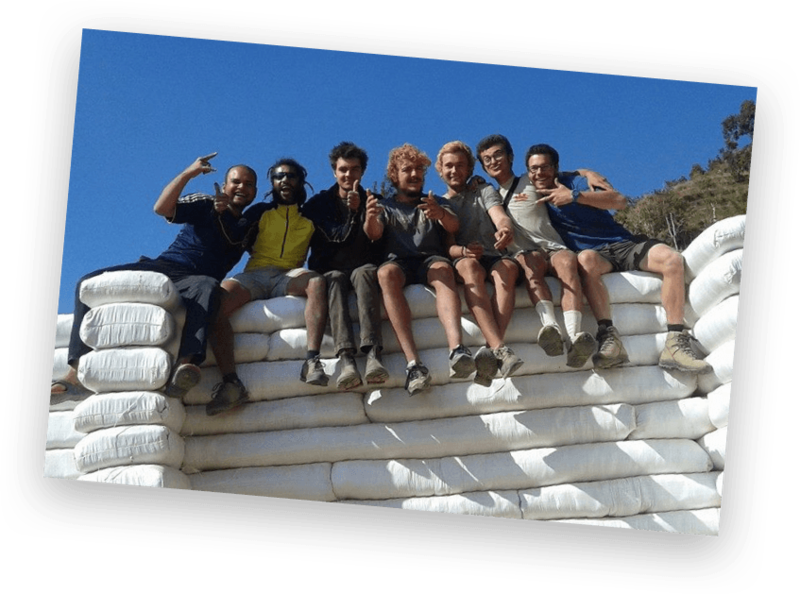 Earthbags are also extremely sustainable and easy to work with! Disclaimer: This type of volunteering is very rustic – if you do not feel comfortable bathing outside, sleeping on basic mats, or require internet access, this program may not be for you. If you have questions, please contact us. 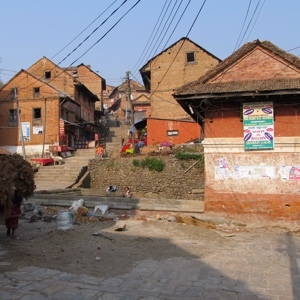 The project takes place in the surrounding villages outside of Kathmandu. The Earthbag Nepal Program helps rebuild and educate the local community (as well as volunteers) on the benefits of building with earthbag technology over traditional mud or clay construction. Volunteers will take part in a building workshop before starting on their construction site, where they will be building alongside an English speaking supervisor and local village labor. Volunteers will stay with a local family who all live in modest village homes. In some cases, volunteers will actually sleep in tents. In most developing countries, rural areas typically build with mud, stone, or clay because these materials are cheap and readily available. 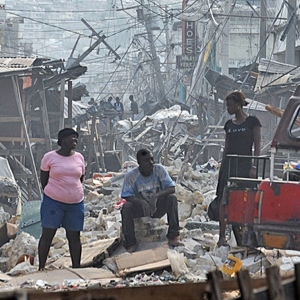 Unfortunately, these materials succumb easily to natural forces such as erosion, flooding and earthquakes. The alternative would usually be building with cement bricks (otherwise known as CMU), steel and wood. However, these materials require delivery to a remote job site which can be inaccessible due to poorly maintained roads. Furthermore, the fabrication and delivery of these materials are not sustainable. Earthbag construction is a perfect compromise. It allows rural villages to use local materials while offering a structurally sound, time-tested building technique. Not to mention Earthbags are extremely sustainable, affordable and easy to work with! Build Abroad will provide airport pickup upon arrival and will also provide all accommodations for program participants. 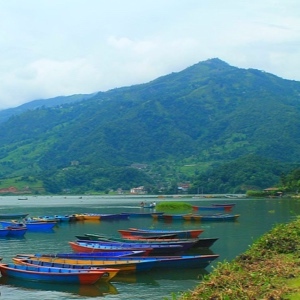 Living accommodations during the week will be in mountain villages outside of Kathmandu. These villages are located in a very rural part of the Himalayas and do not have access to many modern amenities such as running water, higher voltage electricity, and internet access. Expect to be staying in either a tent or with a local family that is living in a very basic structure. These are the exact families that we are serving! 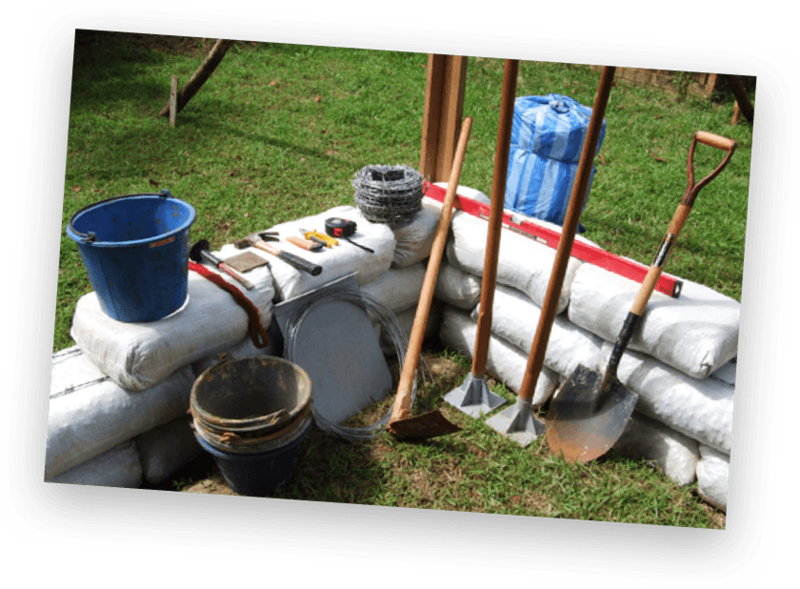 Again, we consider this type of volunteering very rustic/raw – if you do not feel comfortable bathing outside, sleeping on basic mats, or require internet access, this program may not be for you. Local Nepali food is provided at least twice daily at your home-stay. Nepali food is heavily influenced by Indian culture. Most meals consist of rice and vegetables. Meat is usually served once a week and would be either chicken, goat or buffalo. Beef is not eaten in Nepal as it is considered sacred. As discussed above, the volunteer program will be building home for the people living in rural Nepal. The communities we serve are all living in poverty. When we are not working on housing projects, we will work on building toilets for the community. This program is heavily focused on the volunteer work. The program is about 7 hours a day, so it doesn’t allow for as much time to explore the surrounding area during the week. If staying for multiple weeks, there will be opportunities to visit other areas in Nepal near Kathmandu over the weekends. 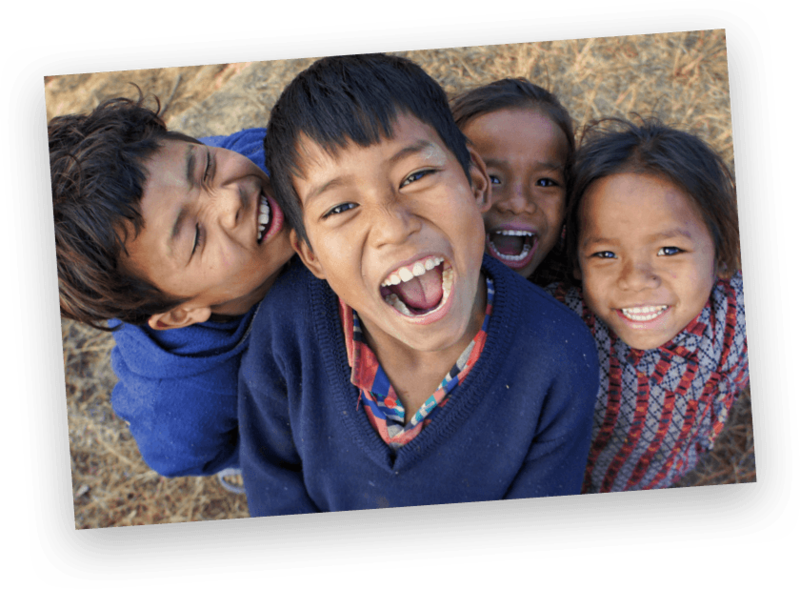 Many volunteers trek the nearby mountains, and some even trek to Everest Base Camp! 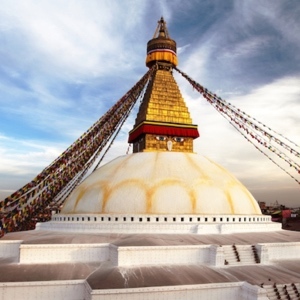 Volunteers for the Build Abroad Earthbag Nepal program should arrive over the weekend. 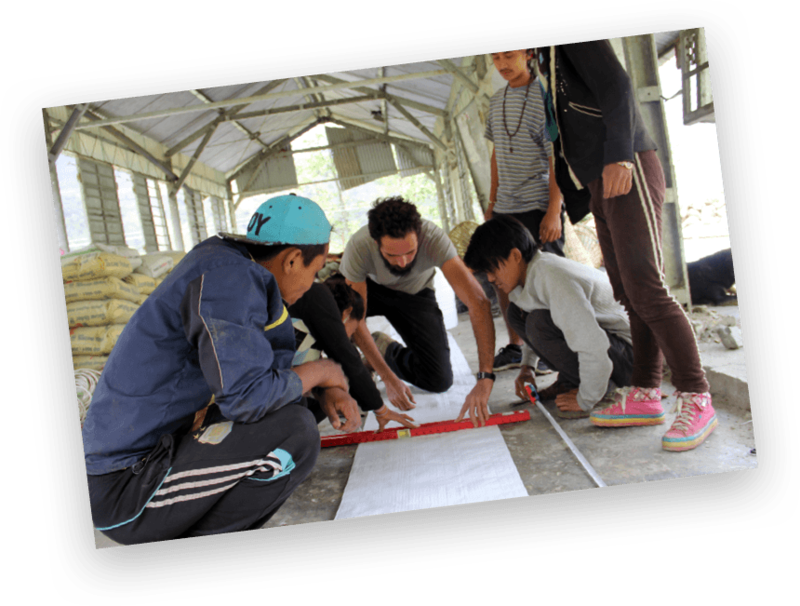 The first day will be earthbag training in Kathmandu and the remainder of the week will be volunteering on site.